Christina Makris was born and raised in New Port Richey, Florida and she is proud to call this city her home. After graduating from J.W. Mitchell High School, she attended the University of South Florida where she earned her Bachelor’s degree in Elementary Education, dual certification in both General Education and Exceptional Student Education (ESE), and achieved special endorsements in Reading, and English for Speakers of Other Languages (ESOL). Although Christina enjoyed advocating for students, she decided she wanted to advocate beyond the classroom. This led her to enroll in Barry University Dwayne O. Andreas School of Law in Orlando, Florida. While in law school, she served as Senior Editor on Barry Law Review, President of Barry’s Legal Advocates for Citizens with Disabilities, and Treasurer of Barry’s Student Section of the Florida Bar’s Real Property, Probate, and Trust Law Society (RPPTL). 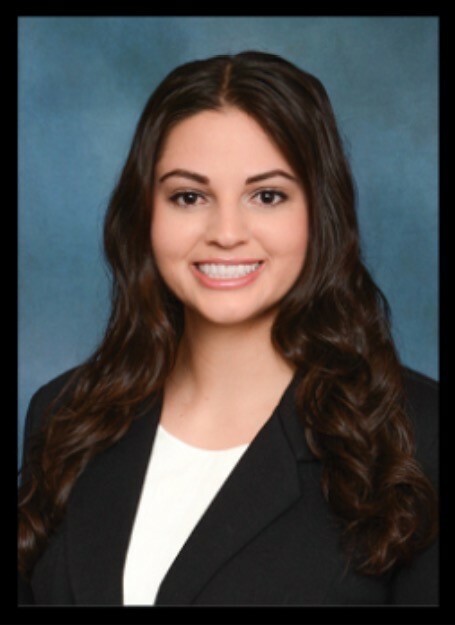 Christina excelled in law school earning book awards for receiving the highest grade in subjects including: Property I, Insurance Law, Mediation, and Trial Advocacy. She also gained significant experience as a judicial extern for the Honorable Judge Alice Blackwell of the Ninth Judicial Circuit in the Complex Business Litigation Court, and as a law clerk at a civil law firm where she was responsible for managing probate, estate planning, and family law cases. After earning her Juris Doctor, she passed the Florida Bar and was sworn in as a member of the Florida Bar in 2017. Christina is proud to serve her community as an attorney practicing property insurance litigation.